The growth of social media has allowed small businesses to get the kind of exposure and presence that would’ve only been possible for big companies. Sadly, many small business social media pages are not getting enough traffic to make a difference. Facebook advertising – Facebook’s advertising platform is one of the best ways to generate traffic, promote products, and build your Facebook fanbase. We can help you develop a campaign for your business, target the right audience, optimize your ad for the best results, and create a long term revenue stream. Facebook page management – Another big part of using Facebook is creating a presence with a Facebook business page. You can use this page to interact with your fans, announce new products, run promotional offers, and update fans with the latest news. We will help you keep your Facebook page active, build fans, engage your audience, and develop a profitable relationship. Twitter management – Twitter is another way to keep in touch and interact with your audience. We’ll manage your Twitter account by announcing relevant tweets to your followers regularly. We’ll also add users that may be interested in what you have to offer and follow up on social mentions that may lead to a boost in your Twitter presence. Small Business SEO Success can help you use social media sites like Facebook, Twitter, and LinkedIn to their fullest potential. We’ll help you use these sites to create revenue, target your customers, and build a following. Social media is also a powerful way to market your brand, especially when it is integrated with your overall marketing strategy. It helps you stand out from the competition, develop your authority, and lets people know that you exist. What’s more, branding works especially well with local Internet marketing because local users tend to share their favorite businesses with their network. When it comes to social media for small business, most people only think about Facebook, Twitter, and LinkedIn. However, social media goes beyond these sites. The whole idea is to create an interaction with users, especially in a specific industry or market. There are many niche centered forums and community sites where you can position yourself as an expert. Taking part of these communities will help you get in front of your targeted audience, create authority, and even find business partners. Setting up your social media accounts is just the beginning. We focus on generating leads into these platforms for the purpose of turn the leads into devoted fans. By providing value through content, prospects will become new customers, existing customers will purchase more frequently, and followers are more likely to share your page. Small Business SEO Success follows the best practices for social media. We know the right way to engage your audience, build followers, and market on social media. Business owners need to understand that social media comes with its own culture, rules, and standards. Not doing things the right way can hurt your reputation and even get your account banned. You can learn about the strategies we use by visiting our site. You’ll find online training for all social media platforms, learn which strategies work, get insight on the best practices, and more. 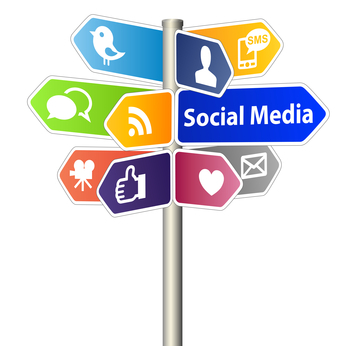 Remember, if you’re looking for outside help, you can hire us for all kinds of social media marketing services. You can learn about all the different social media packages that we offer by contacting us at (201)983-9411 or by filling out our contact form.